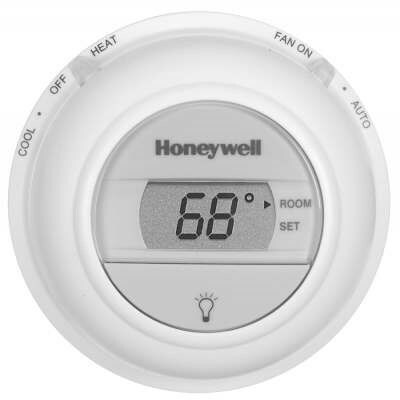 1 HEAT/1 COOL DIGITAL ROUND THERMOSTAT. NON-PROGRAMMABLE. R, RC, Y, W,G , O, AND B TERMINALS. SYSTEM SWITCHING: HEAT-OFF-COOL. FANSWITCHING:ON- AUTO. LCD. POWERSTEALING. PREMIER WHITE.